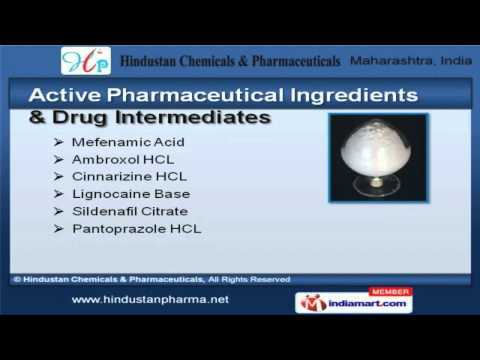 Welcome to Hindustan Chemicals and Pharmaceutical, Supplier of Pharmaceutical Raw Materials, Excipients & Intermediates. The company was established in 2006 at Mumbai. Our products are applicable in Pharmaceutical and Healthcare sectors. Cipla, Ranbaxy and Fortis Health Care are some of our elite clients and we are backed by multiple payment modes and customized solutions. We offer a splendid range of Phenylephrine, Ofloxacin and Metformin H C L. Our Active Pharmaceutical Ingredients and Drug Intermediates are best in the industry amongst others. We offer Pharmaceutical Ingredients and Tolnaftate Citrate that are widely appreciated in the market. Phenylephrine, Ofloxacin and Metformin H C L offered by us are acknowledged for their functionality. Our Sodium Saccharin and Azithromycin Dihydrate for Pharmaceutical Industry are a class apart. We offer Doxycycline Hyclate for Urinary Tract Infection and Povidone Iodine for Pet&#039;s Ear Infection that are extremely reliable.